According to the website AdoptUSKids.org, there are more than 400,000 children in the United States in the foster system. About 1/4 of them are available for adoption. The average age of these children is 8, and the older they get the slimmer the chance is that they will be adopted. That’s because some potential families are concerned about adopting an older child into their home. Because of this stigma about adopting older children, each year more than 20,000 kids age out of the foster care system and are never adopted. So why is there a stigma about adopting an older child? It may be due to some of these myths. 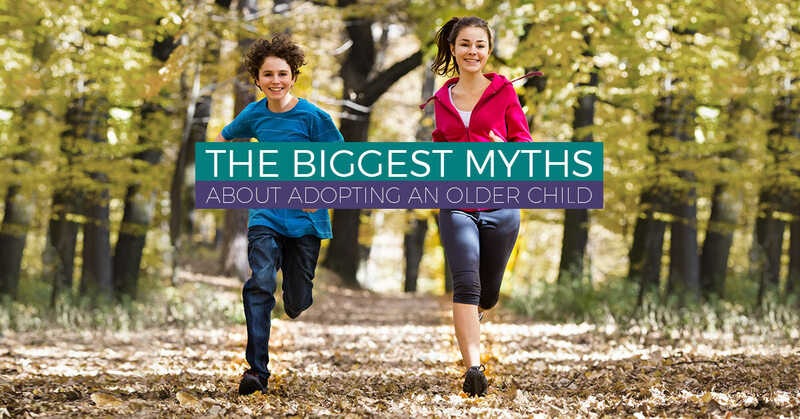 Myth: Older kids haven’t been adopted because of behavior issues. Some of the older children in the foster care system have behavior issues. This could be due to them suffering from abuse at the hands of their biological families or because of an untreated mental disease. But that’s not true for all of the older children in the system. Some of them aren’t removed from their previous homes until they are much older and through no fault of their own. They may not have been in the system for long and are already at a disadvantage because of their age. Myth: Older kids have mental health problems. They certainly might. Of course, a baby you’ve adopted could grow up to have mental health issues. In fact, one in four people are believed to have some kind of mental health problem. Many of them are never properly diagnosed and treated. With an older child in the foster care system, they can get the help that they need to learn to cope with their mental illness and become happy, active citizens in their community. Myth: Older kids can’t attach to a new family. We’ve all heard horror stories about children who have attachment disorders. It’s important to keep in mind, though, that the risk of having an attachment disorder does not increase as the child gets older. If they developed a strong attachment to a caregiver as a young child, there is a good chance they’ll attach to their new caregiver as well. However, it could take more time and a little more patience. Older children have likely been through a lot before they get to this point, and they may be wary of the safety and security and love offered by their new home. Once they see it’s a real and permanent thing, you’ll be amazed at how much love they have to give. If you are interested in learning more about adopting a child from the foster care system in PA, contact FCCY today. We can help connect you to the people and resources that you need in order to find a child who needs a home. You can also learn more about becoming a foster parent or making a donation to our non-profit organization. Give us a call or contact us through our website for more information on foster care and adoption in PA today.